As I was reading in the Tampa Tribune, on the 5/04/2014 edition. It made think about the different faces of creating, and the uses that a not centralized system could bring to the economics, being local or international. 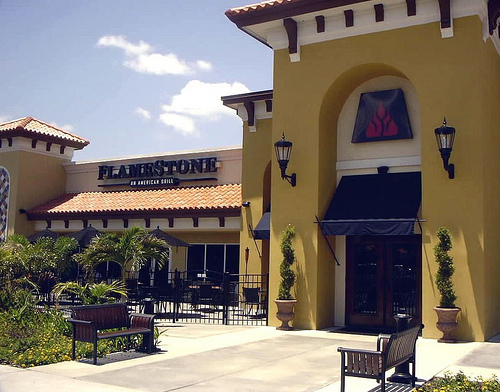 In Oldsmar (a Tampa district) a well known restaurant in the area named Flamestone Grill; whose owner Nick Pappas, a technology enthusiast, decided to implement the technology into the business. To understand bit-coin, the user have to know that is an unregulated peer to peer, where no single entity controls the flow of cash with the exception of the users themselves. After Nick investigated on 2013, he bought an unit for US$20, and the value as of 2014 goes around US$500. But, probably the trend is still new America, because according to the Tampa Tribune the number of customers who had paid with Bitcoin had been two, whose transaction were two US$50 in gift cards. "If the customer wants to pay that way, why not make life easier for them.?" He said; the problem is not to make life easier for the customers, but to put the right decisions to generate revenue without creating a risk for the business. Yet, there is a side aspect on why business are attracted to Bitcoin users; and, the reason it can be used instead of credit or debit and it has no fees (which is one side, the banks and financial institutions get their interests from) but because the lack of security on the new system, many companies are hesitant into placing it on use. Which makes me think, why not to use cash instead,? is still less problematic than digital money.